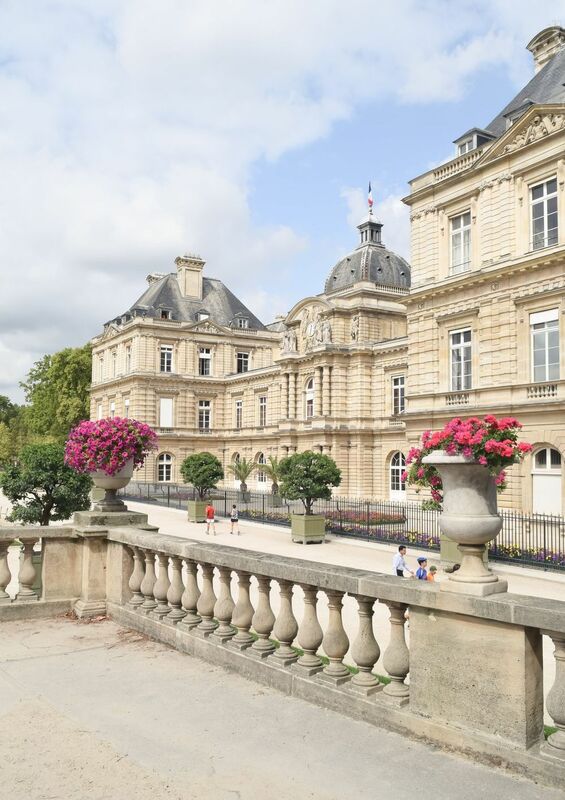 The Jardin du Luxembourg is the prettiest park in all of Paris (in my opinion of course!). 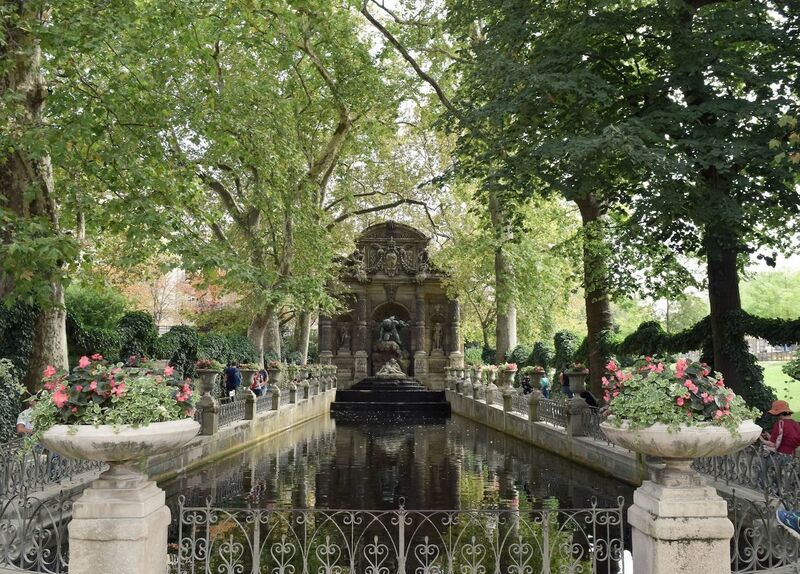 This expansive and beautiful garden sits on the left bank in between the fashionable Saint-Germain-des-Prés neighborhood and the intellectual Latin Quarter. 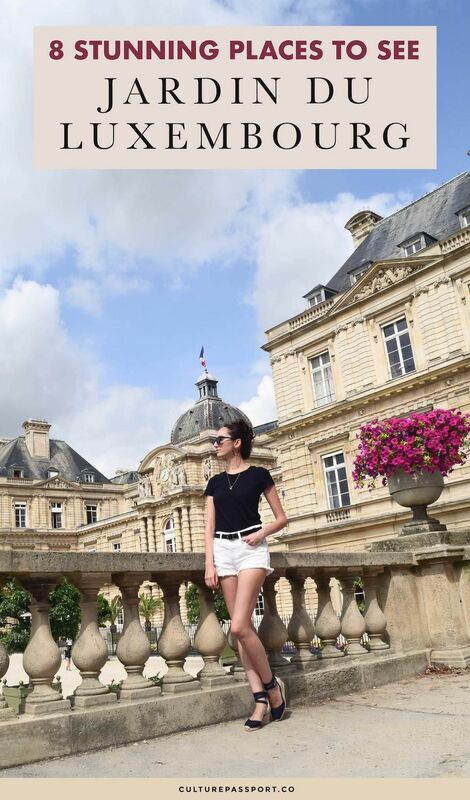 Out of all the fun things to do in Paris, visiting this park is one of my absolute favorites! 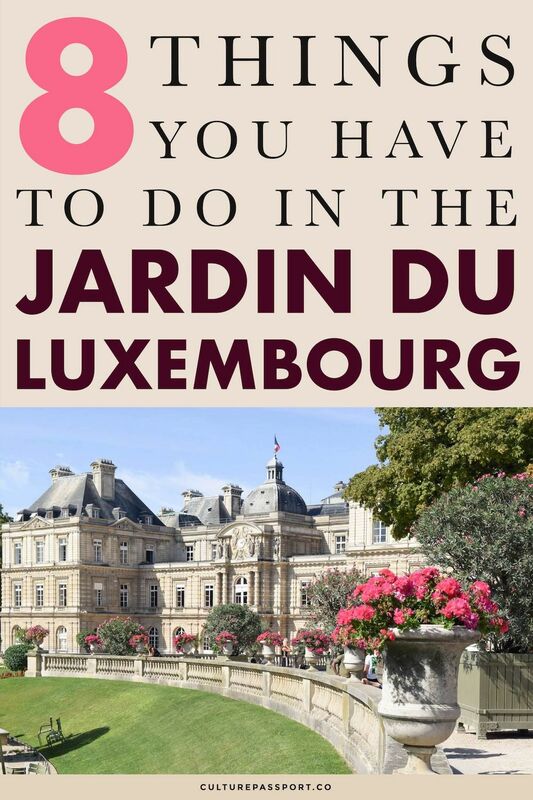 Are you looking for things to do in the Jardin du Luxembourg? Well, don’t worry you’ll have plenty to see and admire inside this quintessentially Parisian park. 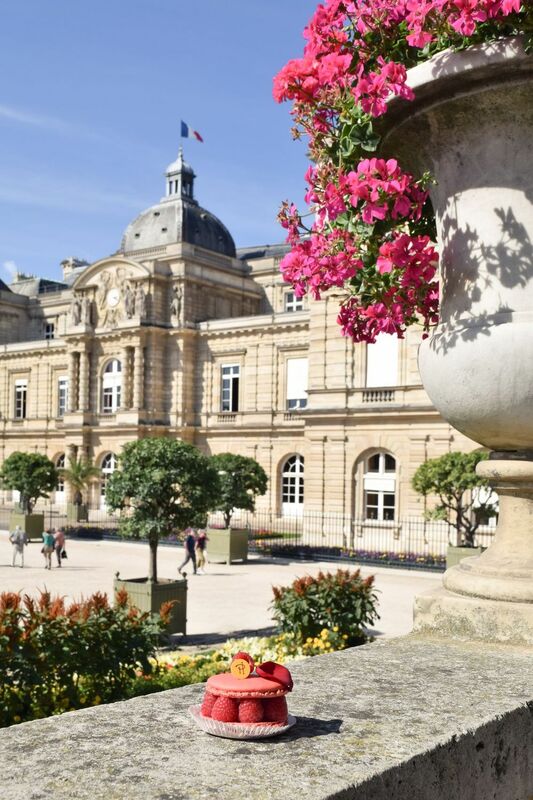 The Jardin du Luxembourg dates back to 1612 when Marie de’ Medici, the widow of King Henry IV commissioned it to accompany her new residence, the present-day Luxembourg Palace. 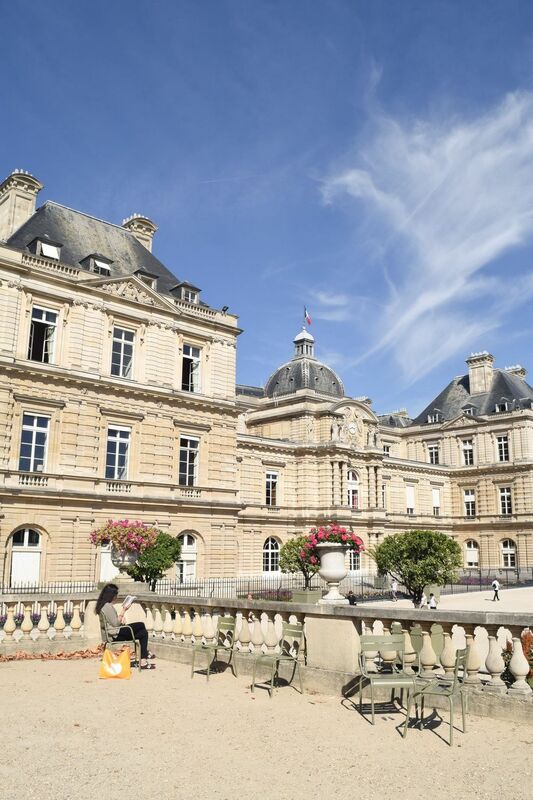 Today the Luxembourg Palace is occupied by the French Senate. Luckily, the gardens were opened to the public. They are known for their expansive lawns, tree-lined walkways, urns holding pink flowers, and large circular lake. Marie de’ Medici had the Pitti Palace of her native Florence in mind when she commissioned the structure of the Luxembourg Palace – and Tommaso Francini, a Florentine hydraulic engineer carried out her vision. 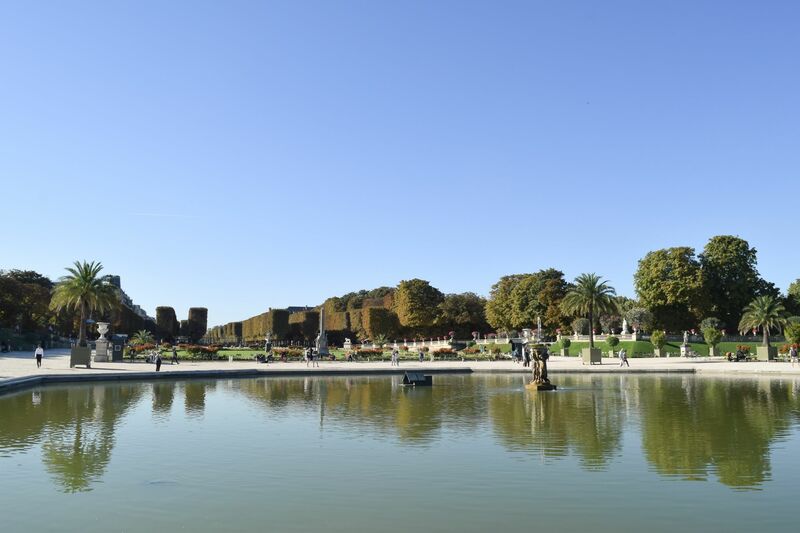 In 1630, the garden was expanded under the direction of Jacques Boyceau, an early adopter of the new garden à la française style that was beginning to become popular in France. The idea was to impose symmetry, order and structure on the beauty of nature. 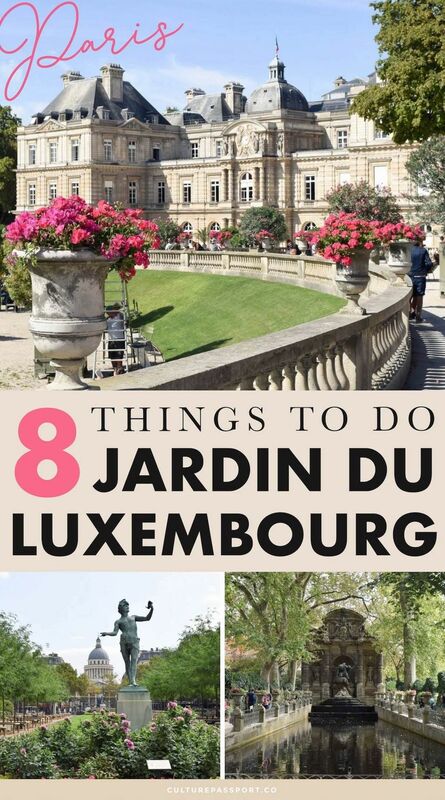 Here are 8 things I recommend if you’re wondering what to do in the Jardin du Luxembourg! 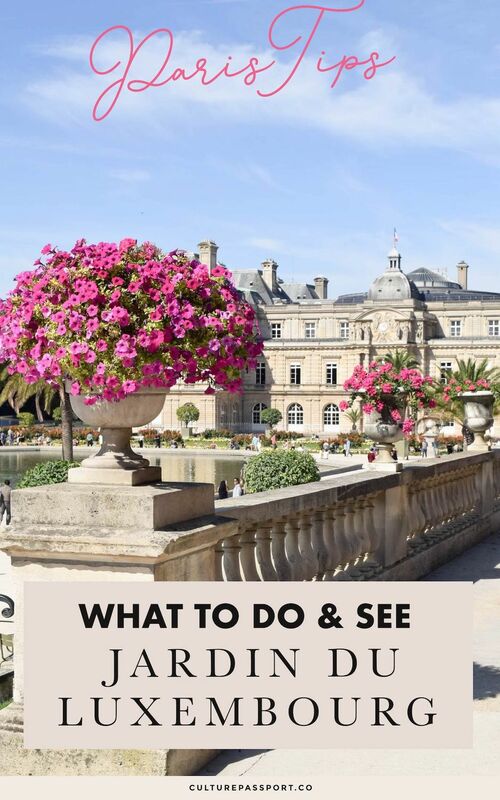 I recommend viewing the Palais du Luxembourg, the Senate’s meeting place, from all possible angles! It is truly a stunning work of French architecture. 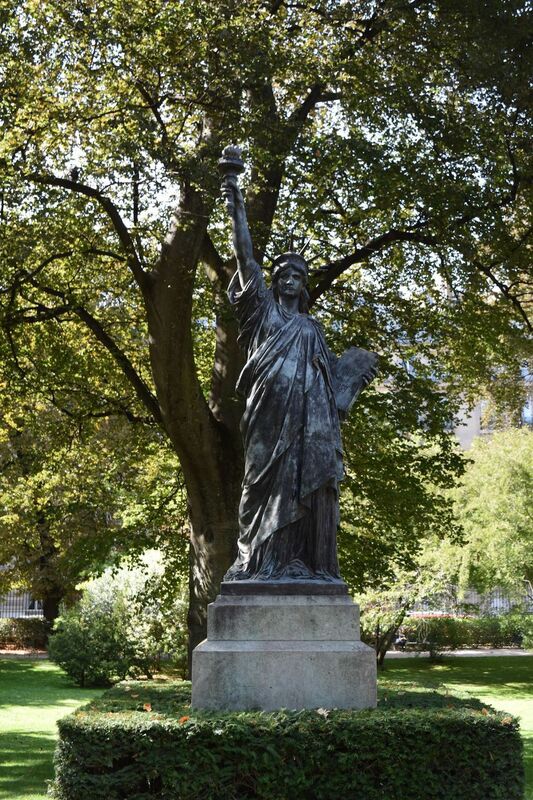 Did you know that there is a miniature version of New York’s Statue of Liberty in the Jardin du Luxembourg? You can find Liberty Enlightening the World on the western side of the garden. A great activity to keep kids occupied is to partake in the longstanding Parisian tradition of pushing antique boats through the giant water basin in the middle of the park. Believe it or not, this activity began in 1927! A man named Clément Paudeau, who greatly enjoyed crafting handmade wooden boats came up with the idea to rent them to children. The activity took off and ever since then it’s a famous pastime for Parisian children. Today, you can rent them for around €3.50 and use them for 30 minutes. The Medici Fountain is a 17th century fountain also commissioned by Marie de’ Medici. Only part of the original fountain remains, and it was moved to its present day location in the mid 19th century during the reorganization of Paris. It’s quite popular so try to visit in the morning if you can! Before heading to the park, stop by the Saint Germain location of Pierre Hermé, the famous French patisserie, and pick up your favorite French treat. (For me it’s the Ispahan!) 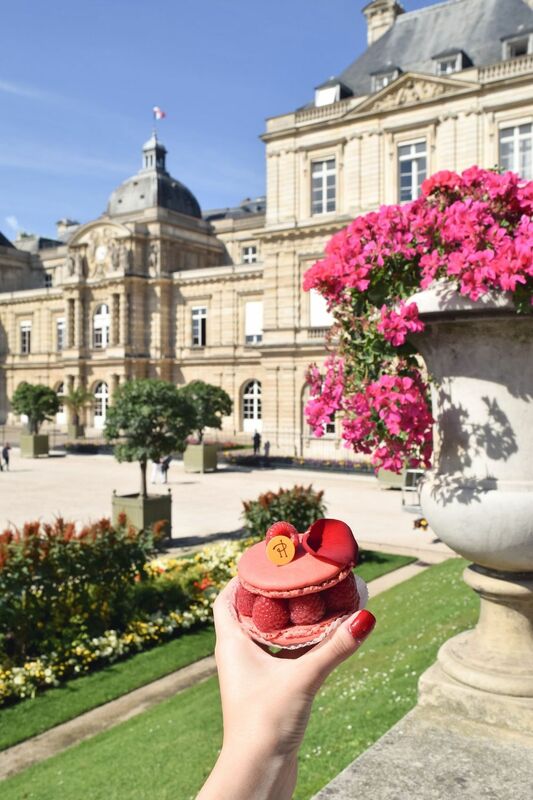 You’ll feel like Marie Antoinette eating your pastry in a classic French garden. 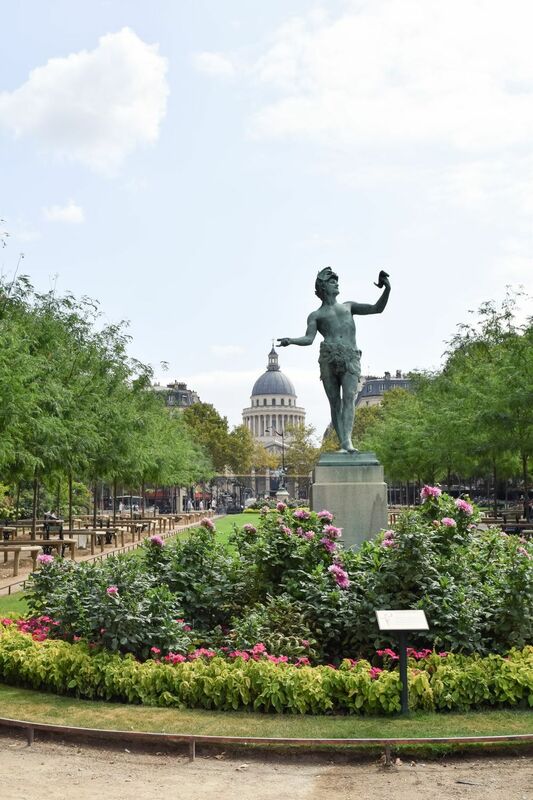 Did you know you can see the top of the Panthéon from the Jardin du Luxembourg? Be sure to catch a glimpse of this famous monument by looking down the eastern promenade of the garden. Most Parisian parks have these quintessential green park chairs. Some are upright while others recline. Some are made for one person while others can seat two! Be sure to do what the locals do and have a nice conversation with a friend, or just read a book, while sitting in one of these Parisian park chairs! 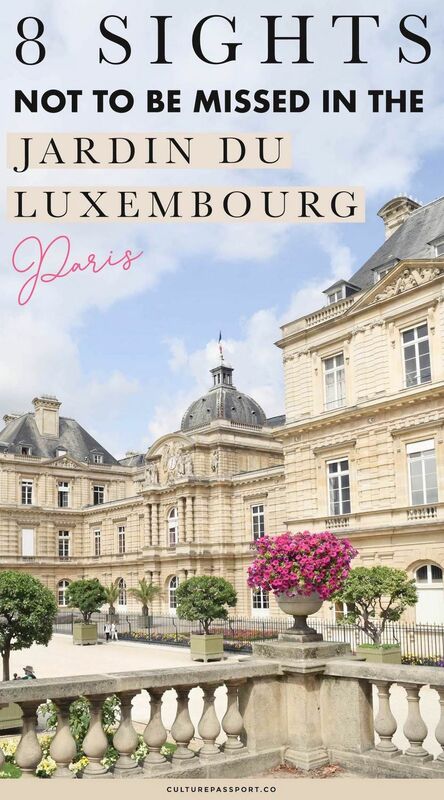 If you’re a history buff, then a visit to the Musée du Luxembourg is a must! Believe it or not, this is actually Paris’ very first public museum. It opened in 1750 and holds major artworks and exhibitions each year! 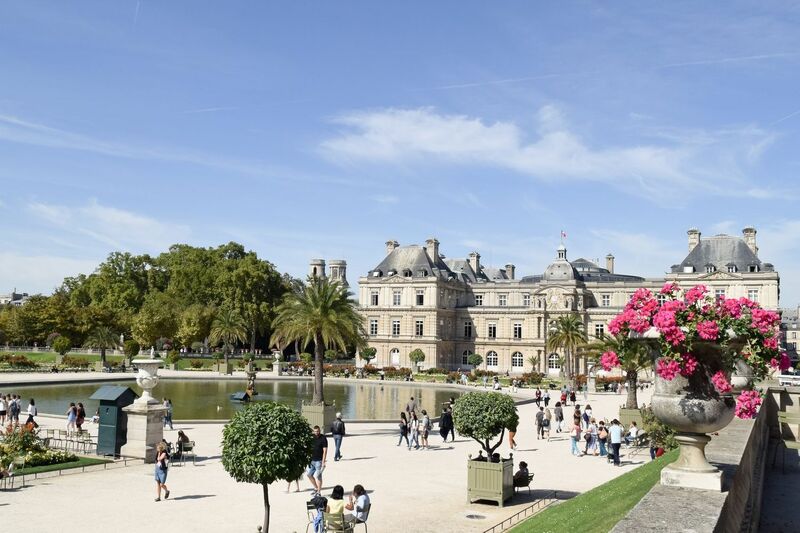 Jardin du Luxembourg Hours: Open all year every day from 7am in the summer and 8am in the winter. Closes 1 hour before sunset.